YOUR WEBSITE HAS many jobs. Among the most important: sharing your story and letting people know what sets your business apart. Whether it’s your staff, your background, your services, your product selection or a combination of them all, a strong “About Us” page can intrigue prospective customers and keep current clients engaged. 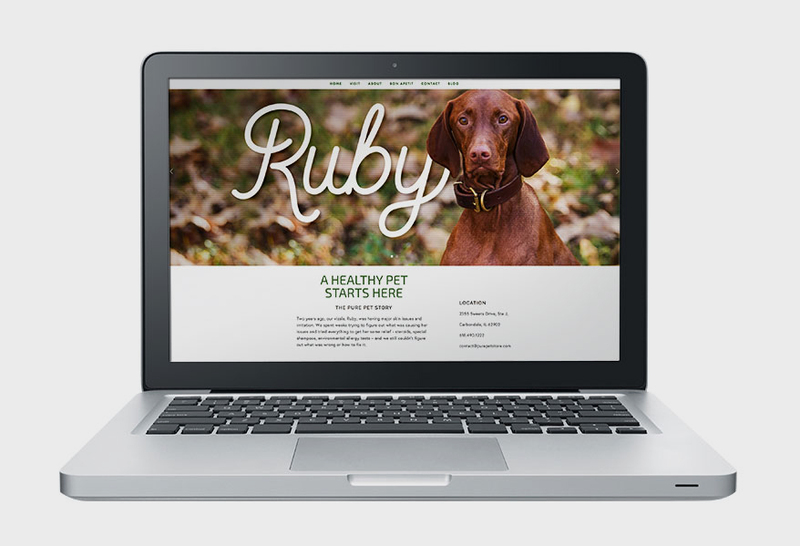 Monica Cevallos of Sniff Design Studio, which specializes in logo and web design for pet businesses, says she has had clients tell her they’ve chosen her services based on her own website’s whimsical “About Us” page (sniffdesign.com/about). 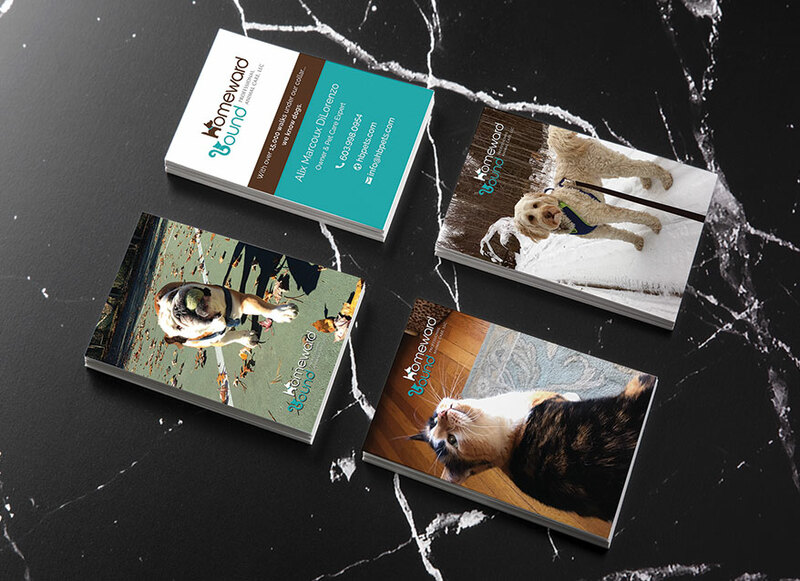 Sniff Design features bios of Cevallos, her one employee and their two canine staff members, complete with fun facts about each and links to the scial media pages of each — even the pups! What any great “About Us” page should do, however is engage and inform in an entertaining way. Imagine yourself on a flight seated next to a stranger who asks what you do. You wouldn’t begin by listing your degree and awards, would you? (We hope not!) 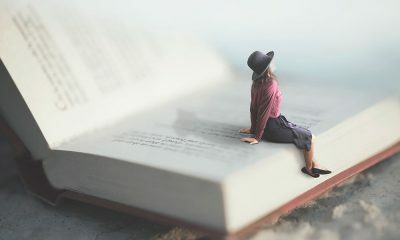 Rather, you would tell the story of who you are and why your business is unique. 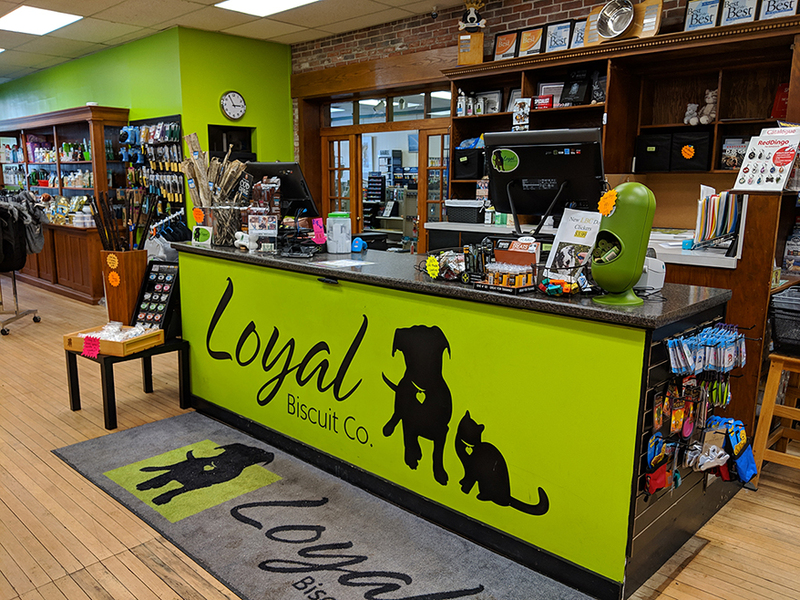 Remember, there are tons of pet businesses out there. You should take every opportunity to tell people how yours stands out. Don’t forget to inclulde great visuals . (Think faces, not pictures of the outside of your building.) And include lots of pictures of pets. (You’re in the pet business, after all). The final element is a dose of emotion, whether that be passion, humor or poignancy, Do that and you’ll have yourself the makings of a great “About Us” page. 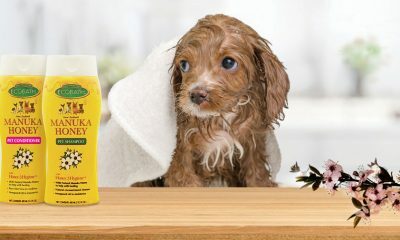 Pure Pet’s “About Us” page is part of the store’s homepage, as its design is responsive, meaning it adapts its content to any size screen or window viewing it — very helpful for customers browsing on their phones and tablets. 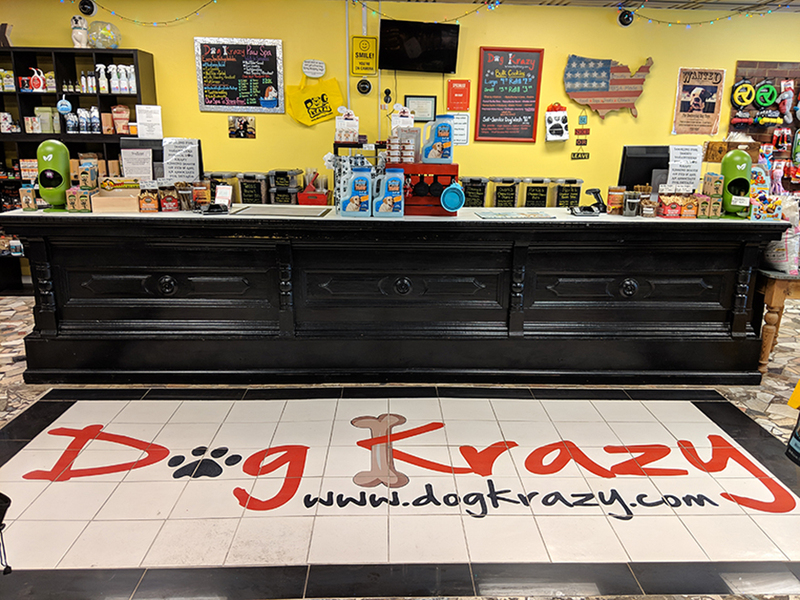 Click on a link at the top or manually scroll down to find the store’s origin story, a testimonial as to the benefits of a healthy diet for dogs. 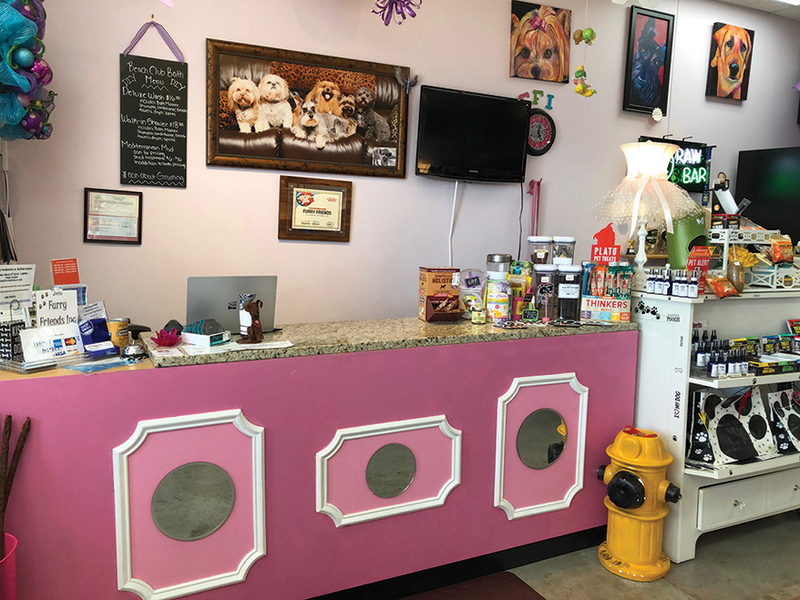 Based on difficulties owner Amanda McReynolds had researching and finding holistic foods for her vizsla, Ruby, who had food allergies, Pure Pet was born to service the southern Illinois area. 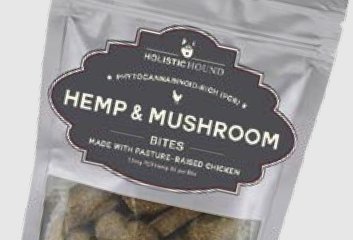 Anyone with a dog with a specialty diet will be hooked. Scraps Dog Bakery. 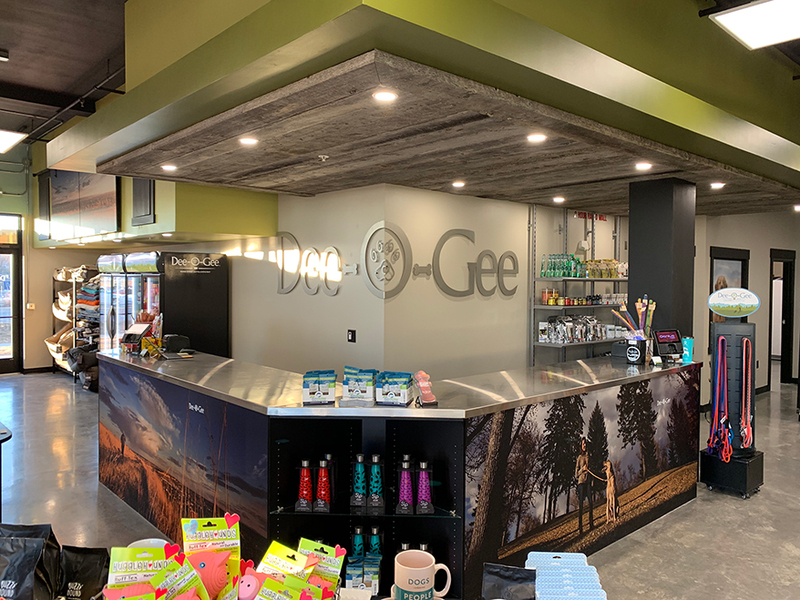 Known for its “healthy grub and cool gear,” welcomes customers with comprehensive information and links on its “About Us” page. Neatly arranged are a description of the store’s rewards program, a link to buy gift cards, its location on Google Maps as well as address and hours, an email bulletin subscription box, a link to a virtual tours and a brief but detailed description of what is unique about the store. Whew! A lot to pack in. Did we mention links to social media? Jungle Bob’s bills itself on its “About Us” page as “a destination you have to visit to believe! !” New York’s biggest reptile-only pet shops, with over 3,500 square feet of displays and inventory that includes its own brand — all unique selling propositions in themselves — also host reptile birthday parties. What reptile lover could pass that up? What Phydeaux does particularly well on its “About Us” page is provide a calendar of upcoming events at its three North Carolina locations — from rescue seminars to vaccine clinics. 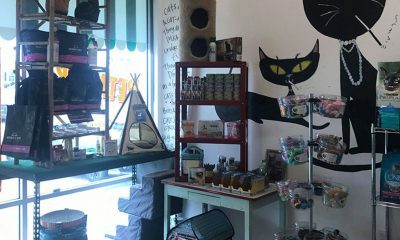 Farther down the page, it introduces us to owner Frank Papa, attaching both a face and a pet-loving personality to the store. Don’t forget how important people are to pet businesses. If it were all about product and price, the big-box guys would win. 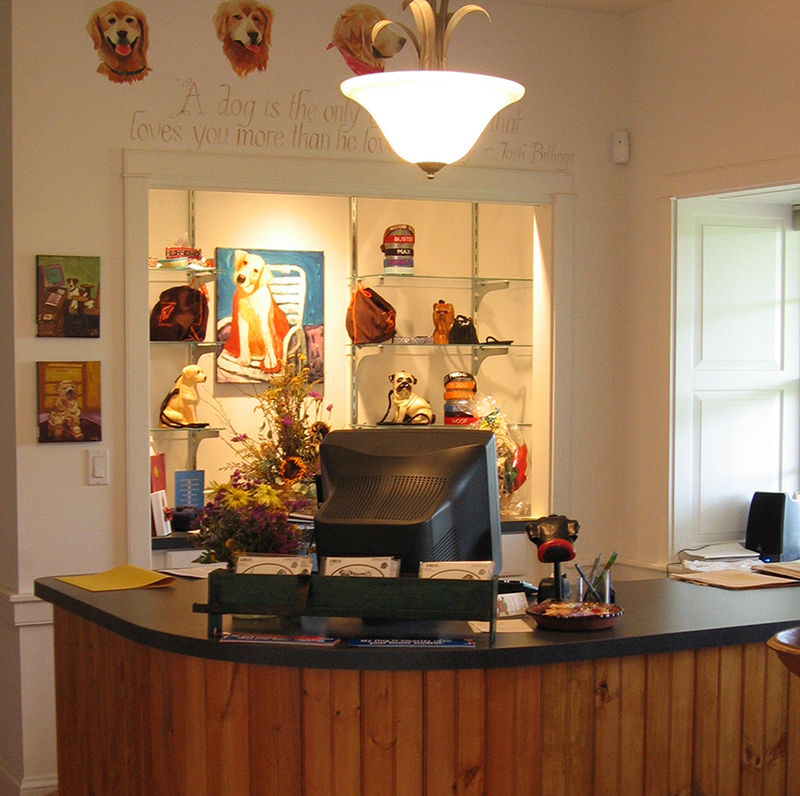 Another responsive design, this page presents Marley and Me’s unique boarding philosophy of providing dogs “an adventure,” rather than mere daycare. 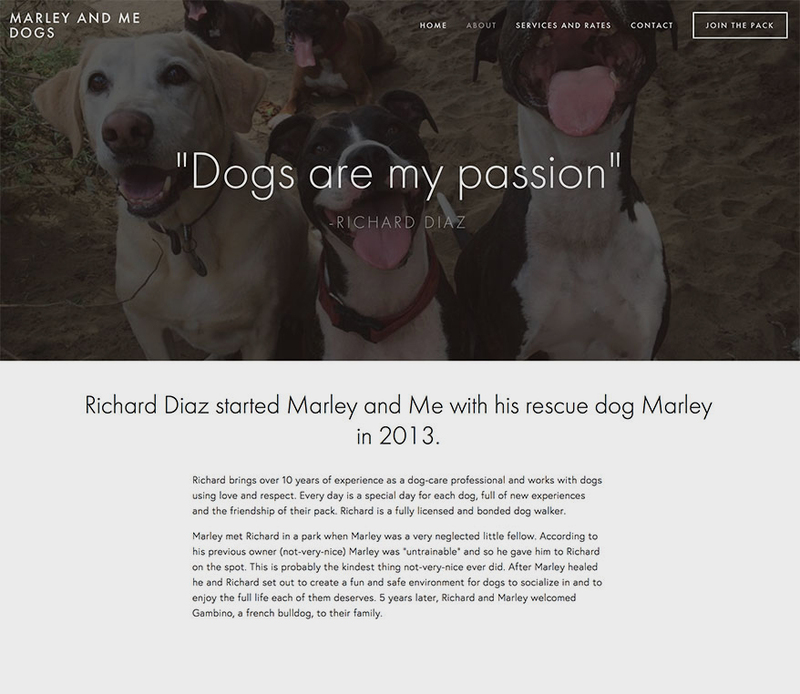 Owner Richard Diaz takes time to introduce us to his pack: from “little wolf” Luna, the “chief technology officer,” to “big wolf” Marley, co-founder and CEO. Anyone seeing these dog portraits can’t help but take the time to go through each one and read the titles. 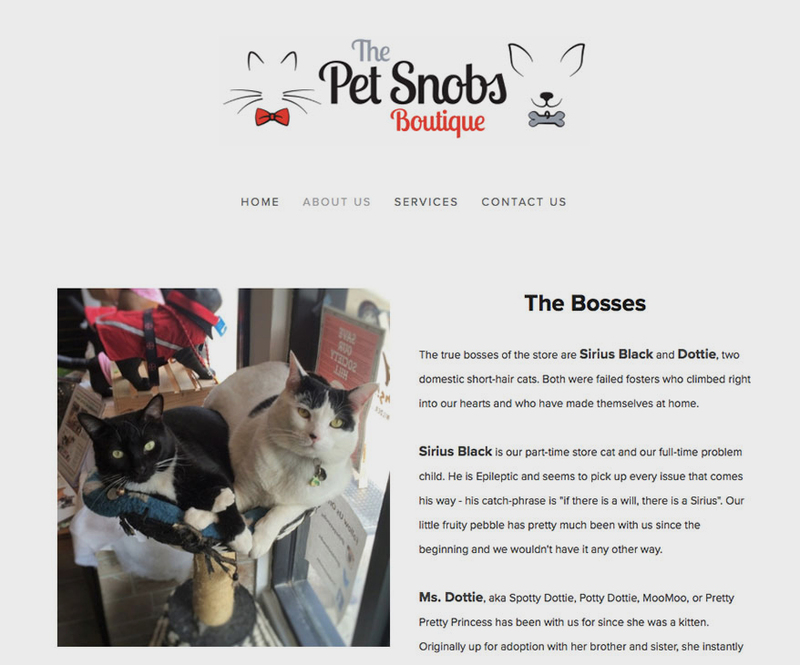 Cats Sirius Black and Dottie take top billing on this “About Us” page. Listed as “The Bosses,” they come above “The Housekeeping Staff” — owners Dara Slott and Jaci Kelly. If you couldn’t tell from the store’s name, this page confirms that this is a business with a sense of humor. 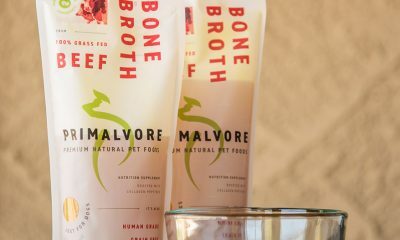 It will have you smiling before you set foot in the door. DOGS MAKE A MESS during bath time. 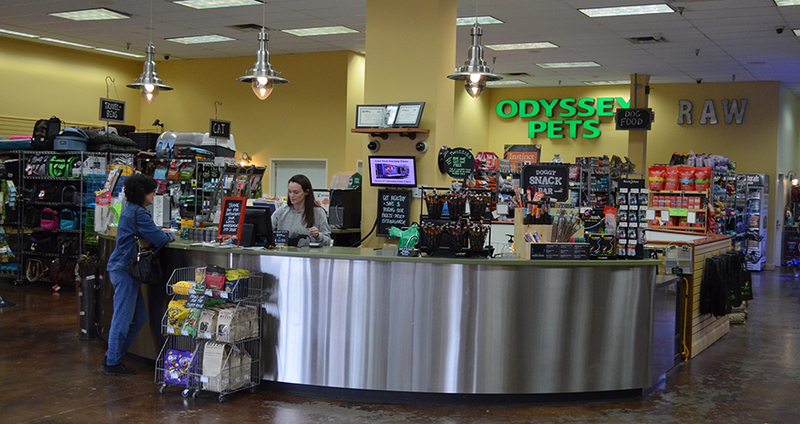 These pet businesses welcome it, provide direction and supplies, and even clean up after. Check out their DIY bathing setups, all of which are profitable and produce the cutest photo opportunities. 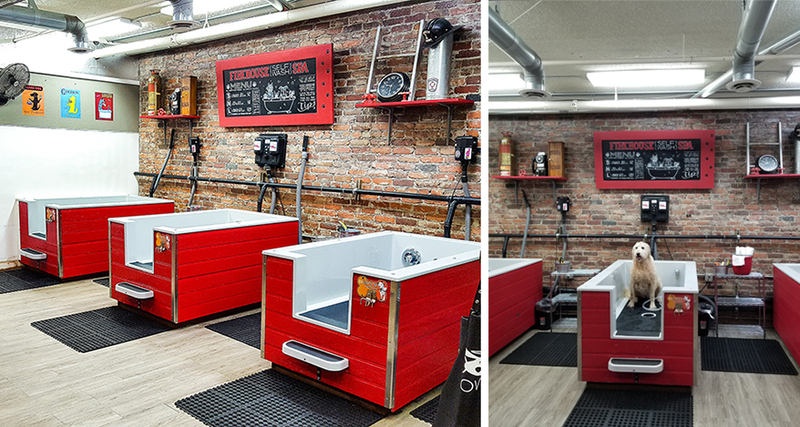 Allen and Jennifer Larsen assign an employee to their firehouse-themed, three-tub DIY bathing area. This staffer walks newbies through the process, gets them started and checks back mid-bath, as well as cleans up after and does laundry. An instructional video also plays on a loop, and a chalkboard sign displays the menu and tips. 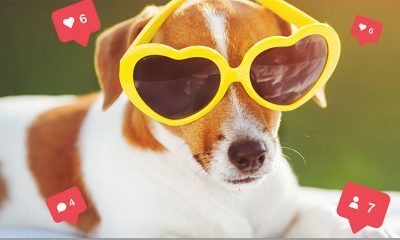 Self-baths cost $12 to $20 per pet, depending on weight, with nail trims an additional $7. Income ranges from $4,500 to $6,800 monthly. K9 officers bathe for free. 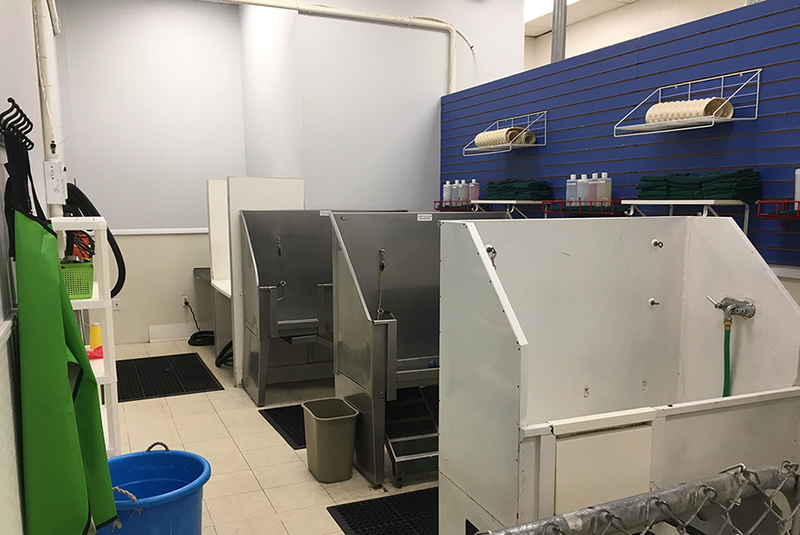 Marcia Cram inherited a three-tub bathing area when she opened her store 15 years ago, and has since upgraded decor and equipment. Groomers and customers alike use it, with the latter paying $22. Income totals $1,230 monthly. Pattie Boden designed and had her DIY bathing suite custom built. 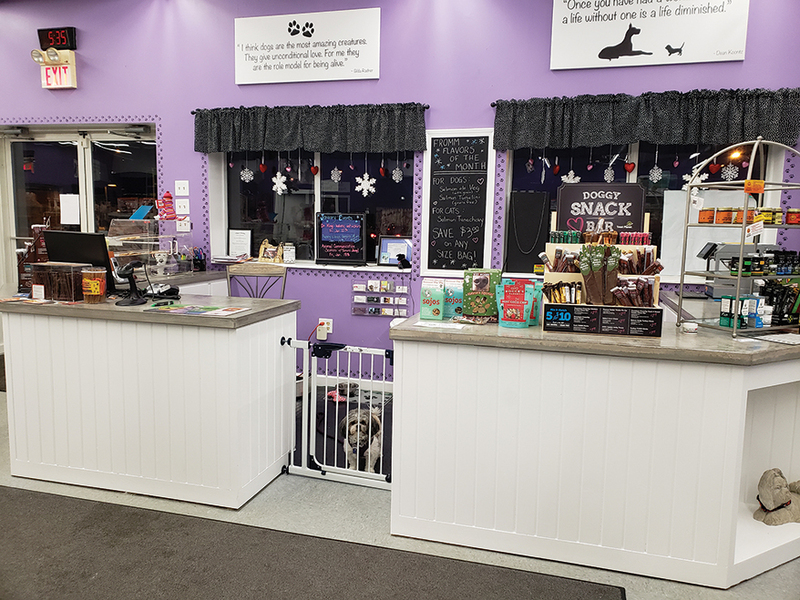 It matches her store’s country vibe and caters to large-breed and senior dogs. Self-wash costs $15 to $25, depending on weight, and brings in $2,500 monthly. Her favorite bathing story involves the girls who planned a birthday party around washing their Great Pyrenees. 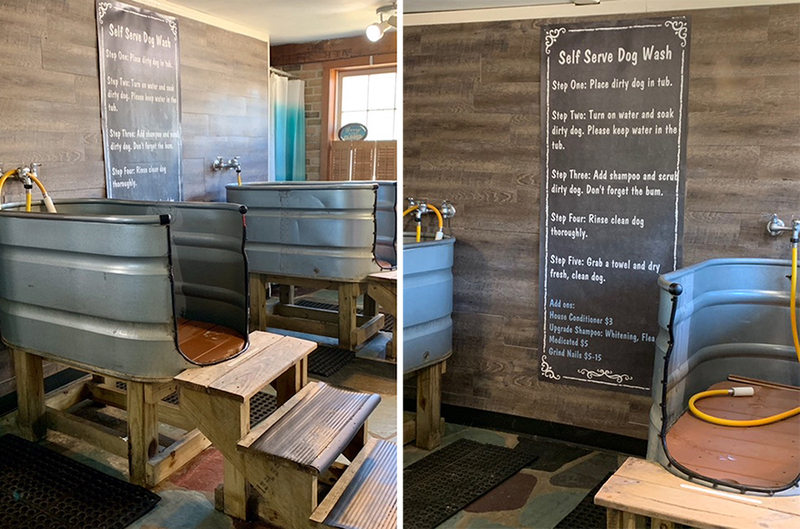 DIY bathing was part of Danielle Wilson’s original concept for her business. It has proven a success, pulling in $6,000 monthly. 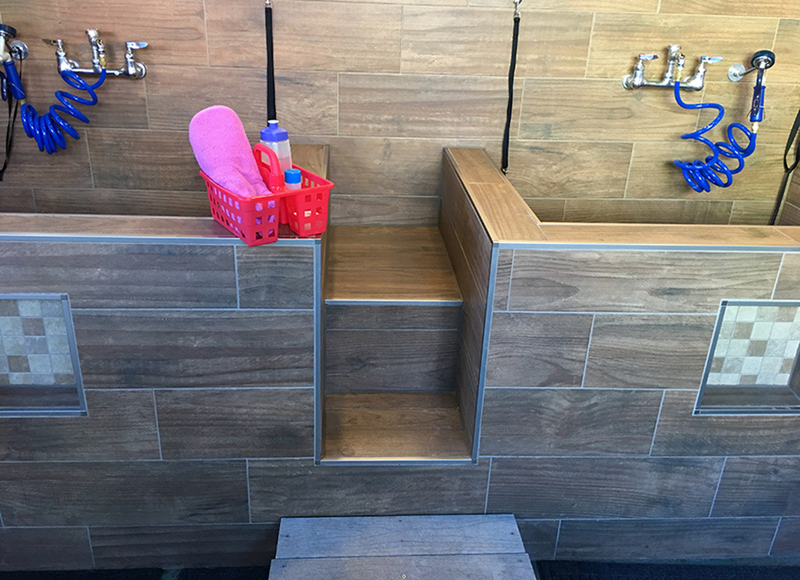 She kept costs low with a rustic theme and by building the tubs themselves. Dog owners mainly use the tubs, but 4-H Club students have brought in goats, pigs and even a miniature horse during fair season. Wilson lets them self-wash for free and charges regular clients $20. Nail trims are included. 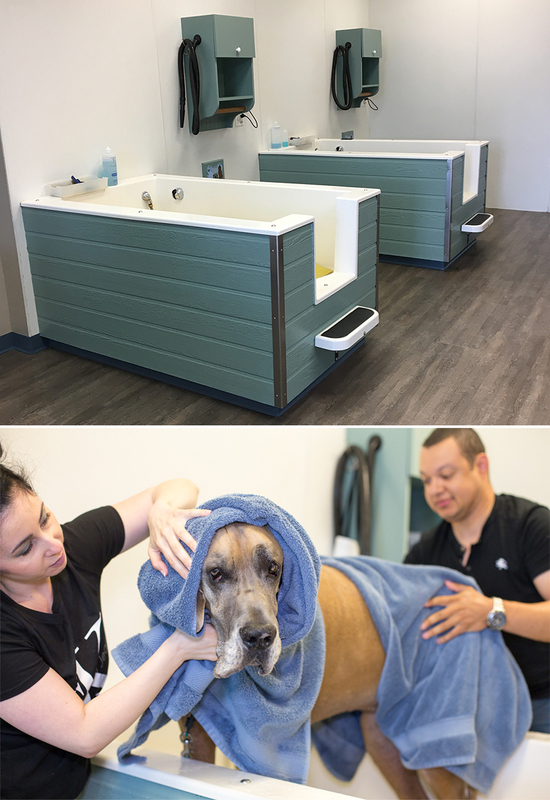 Teresa Hogge created a spa-like atmosphere for her DIY bathing clients, who get a first-time tutorial that covers proper care of their dog’s coat type. She charges $15 for bath only and $25 with nail trim, adding up to $2,500 in income monthly. Hogge also recently introduced a monthly Suds Club Unlimited Self-Wash Membership for $29.99. Service and working dogs bathe for free. Self-wash runs $14 to $27, depending on weight. THE BEST CHECKOUT COUNTERS make a statement, but such statements can vary in size. 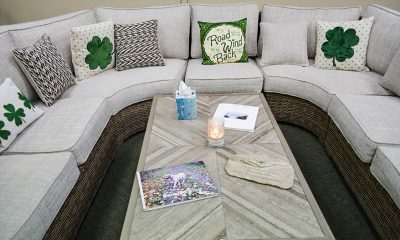 One can be big and bold in a store with ample square footage, while another can be small and subtle in a limited spaced. This collection of counters includes both. Nancy and Chris Guinn took the DIY route when building out their fourth location. Chris created this checkout counter from displays left behind by the previous tenant, a men’s clothing store. He added black paint and a tile top, plus drawers and shelves inside, and a bakery case on one end. Chris also designed and laid tile in front with the store’s logo. Store color mint green covers this checkout counter that Leel Michelle built to fit her space. 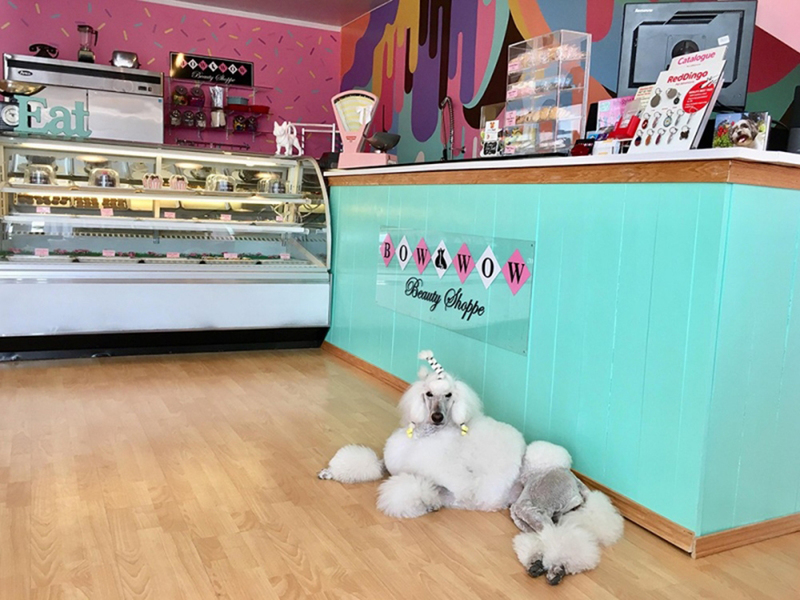 With the adjacent bakery case and dog-level sign, it makes the perfect backdrop for photos. A minimal mix of last-minute items and decor, such as an old-fashioned pink scale, are strategically placed on top. TIP: Offer free treats to people, too. Emmett keeps a dish filled with snack-size candies on the counter. This checkout counter painted in store color lime green does double duty. “Our logo also makes a great backdrop for photos,” Heidi Neal points out. Customers can even put their dog in a sit and back up to shoot, thanks to a boat cleat that holds leashes tight. Joel Neal created the counter using lumber, sheetrock and laminate. 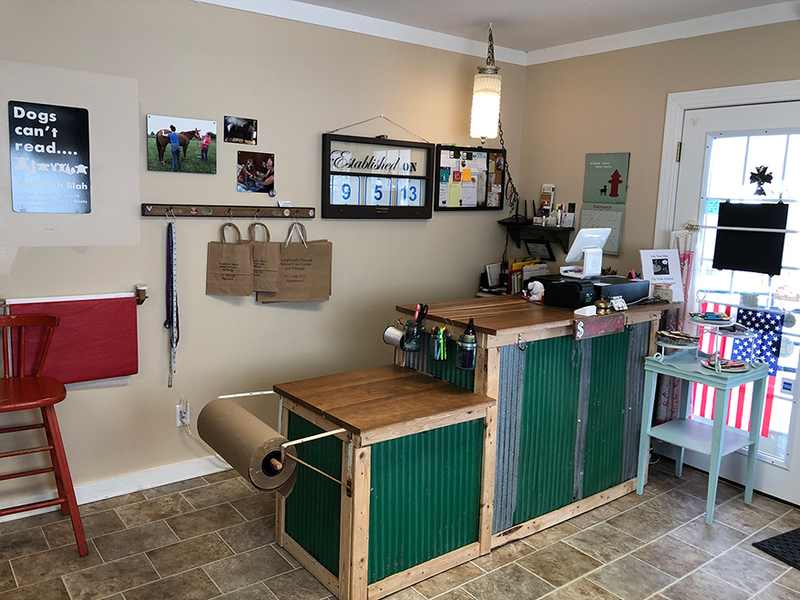 To suit her store’s country-chic aesthetic, Samantha Youngblood created a counter base from scrap wood and repurposed barn metal. Wood from her family’s tree farm became the top. Two tiers — “one for the customer to set the products on and another for ringing up and bagging” — help keep checkout orderly and efficient. The bottom level doubles as a gift-wrapping surface, complete with a hanging roll of craft paper. TIP: Clamp mason jars to the counter’s side to keep scissors and pens handy without taking up surface space. Teresa Bues creates an impulse-buy zone around her checkout counter. 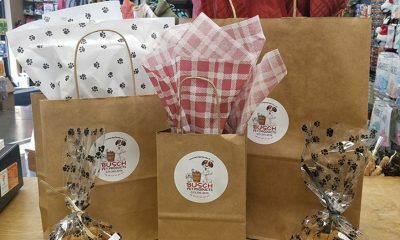 “We stash treats and perhaps some human items along with decorated treats. Behind the counter, we put items we feel are things we want people to see when they are standing there. It has helped with sales.” The counter came together from a work table she found on the property and leftover “stainless” material from another project. TIP: Point out that hooks for leashes also work for purses, so customers don’t have to put their bags on the counter or floor. HOW LONG DOES IT take to hand someone your business card? One second. Maybe a smidge longer if you must dig the card out of your bag or wallet. 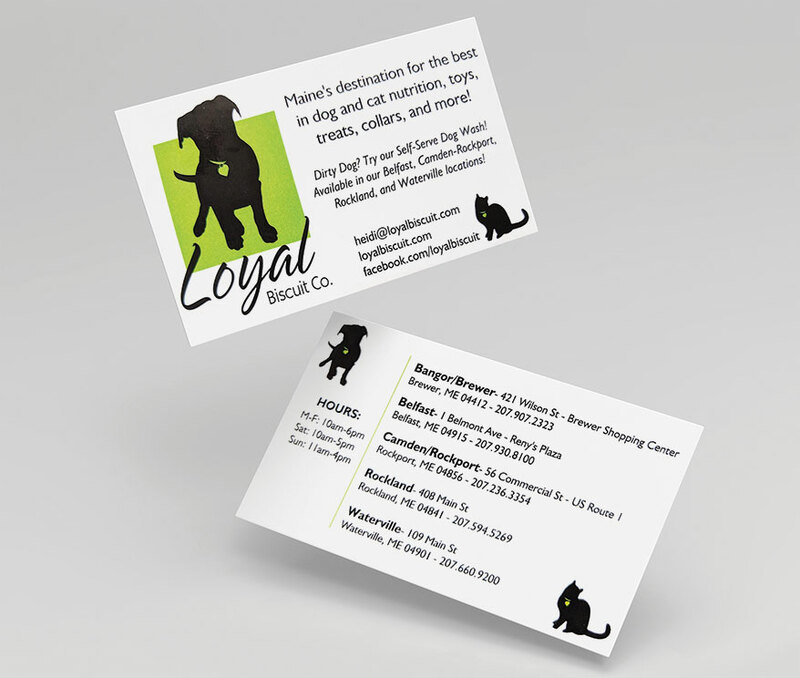 A business card remains the fastest way to share information in person. 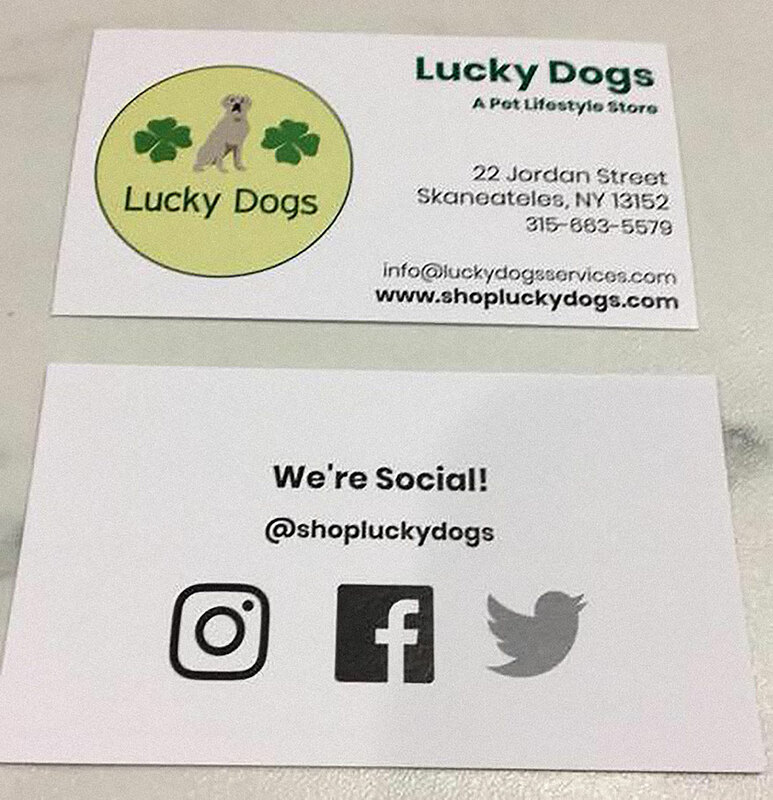 The best cards also boost brand awareness, list social media channels, and/or provide an incentive to make a purchase or use a service. These six stand out from the stack. The design aesthetic of their business extends to its card. 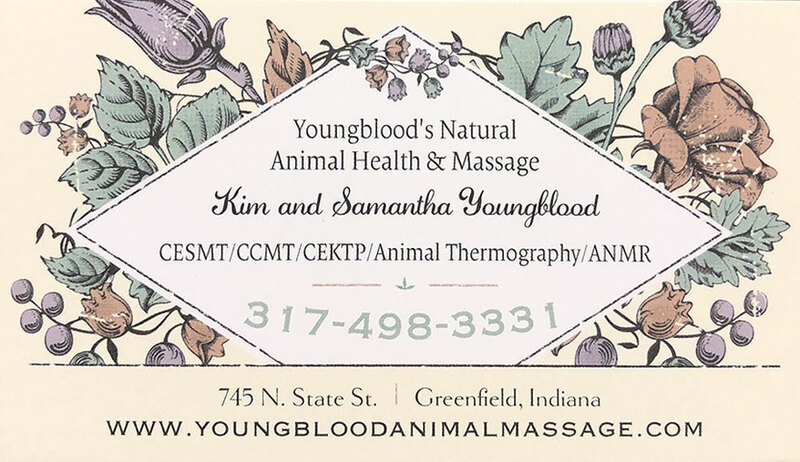 “We own an all-natural animal care center, and we love flowers and soft colors … this card reminded us of purity, nature, organic and a feeling of peace,” Samantha Youngblood says. 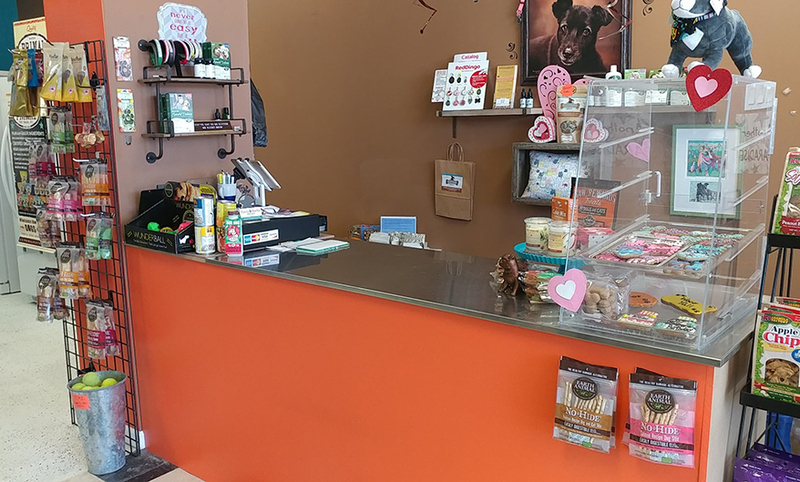 Store color orange catches the eye of potential customers, and Tammi Bui keeps their atttention by listing multiple deals. She even tells them how to get more via text message. 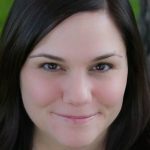 Tip: Formerly employed as a graphic designer, she shares: “People will keep a color business card longer” than a white one. 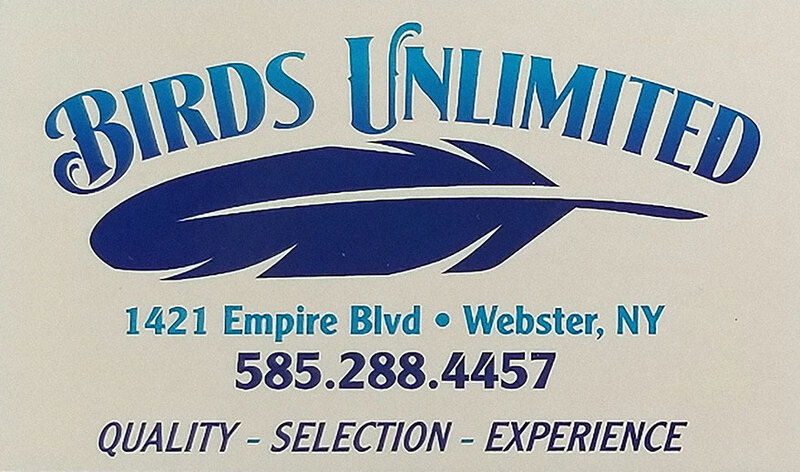 Tip: Order in small quantities so as to not waste cards when updates are needed. 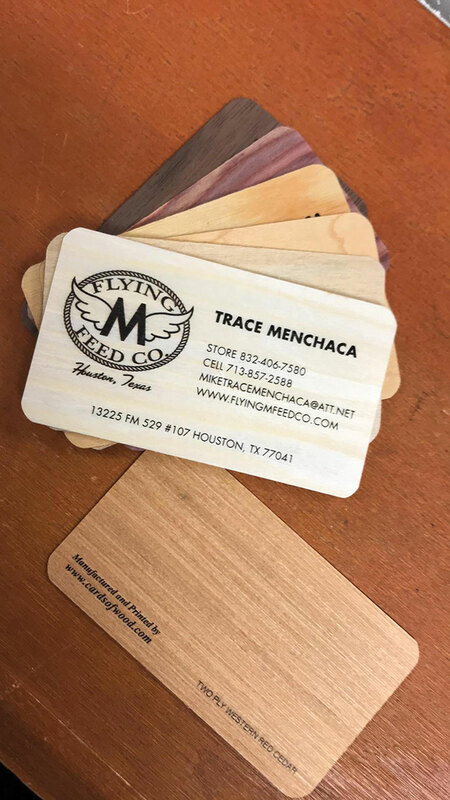 Trace Menchaca upgraded from paper to wood for her personal business cards. “As a recipient of thousands of cards, there are many that I’ve kept, but only one that really stood out: It was made of real wood. I put out traditional cards on our counter, but for distributors, vendors and business networking, I had to have these. I get tons of compliments and everyone keeps them.” From cards-ofwood.com, the material suits the store’s logo, a burned brand. She orders a variety of tree species. Tip: Include “cardsofwood.com” on card to get a 5 percent discount. 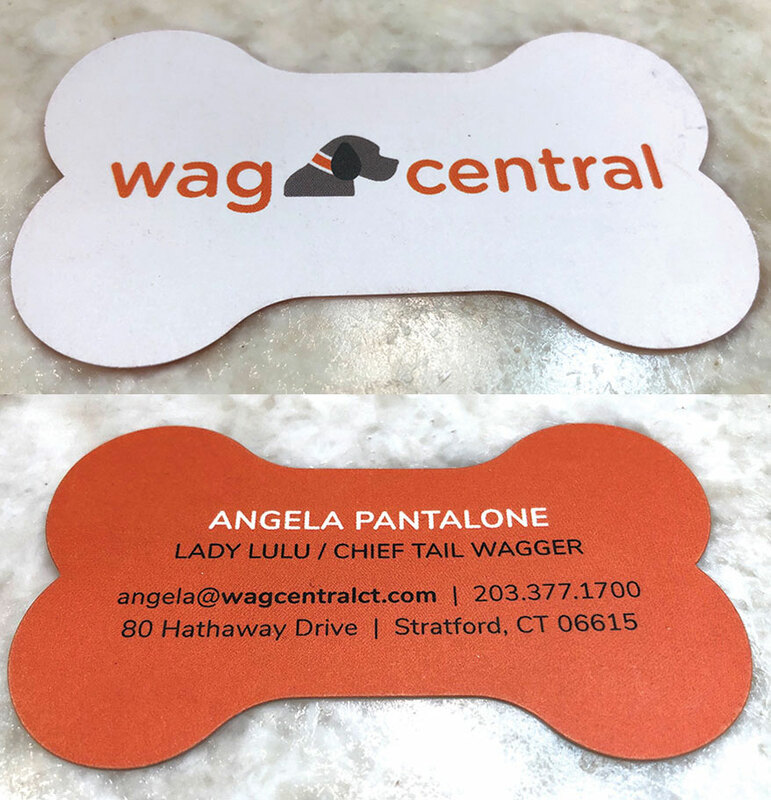 A bone shape helps this card stand out, as does listing store pet Lady Lulu as Chief Tail Wagger. Leel Michelle carried her store’s trademark pink, green and Mumsie the Poodle through to its business card. 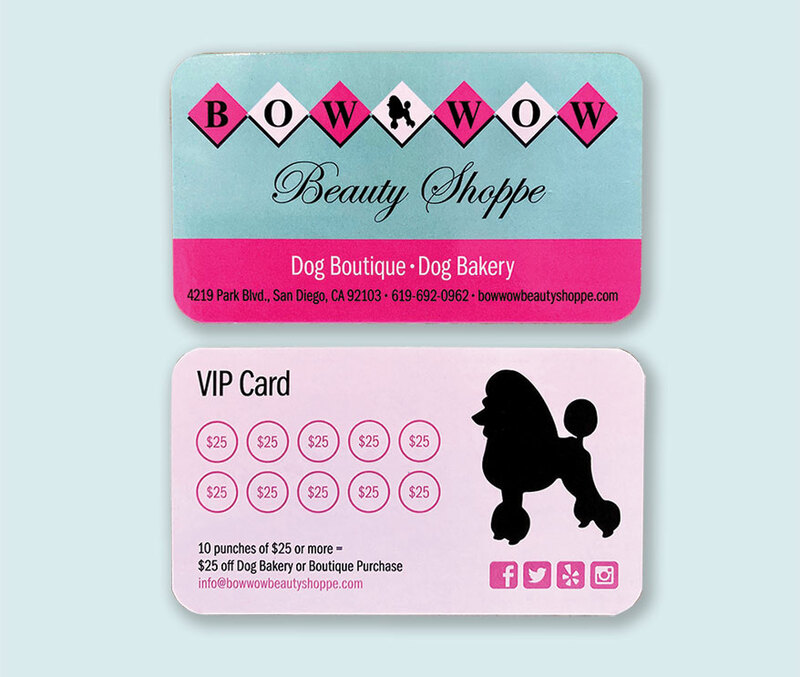 The loyalty program and social media channels help fill the back. This business card doubles as a lead generator. 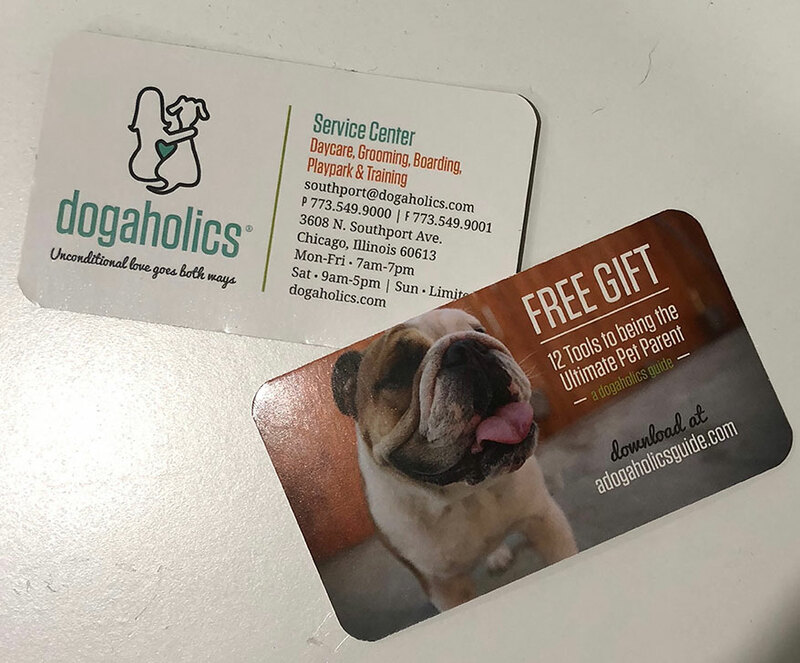 Potential clients can visit adogaholicsguide.com, provide their email address and get a free downloadable pet-parenting guide. 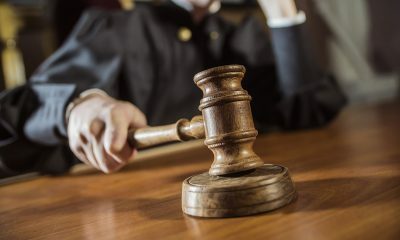 Employees can then follow up. Candace D’Agnolo uses photos of clients on the cards. 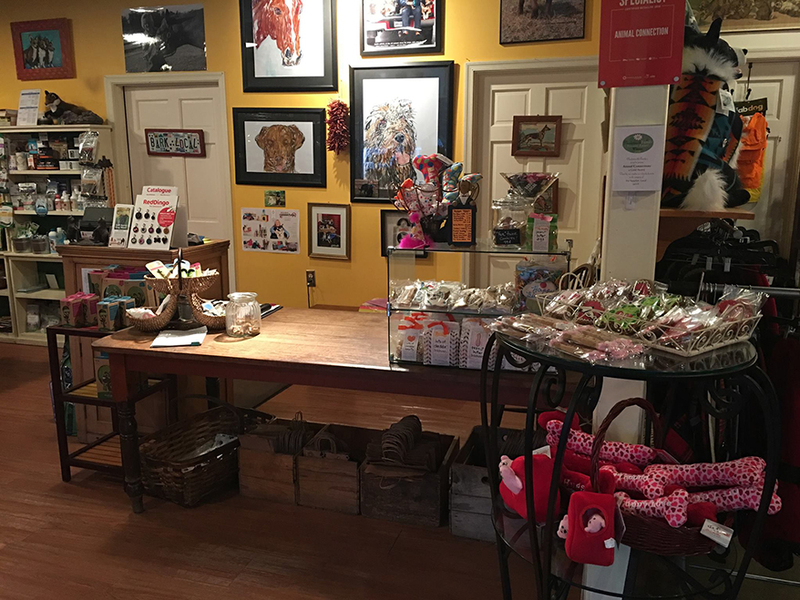 After a cluttered business card that included way too much information, Paul Lewis decided that a just-the-basics approach worked best for his store. 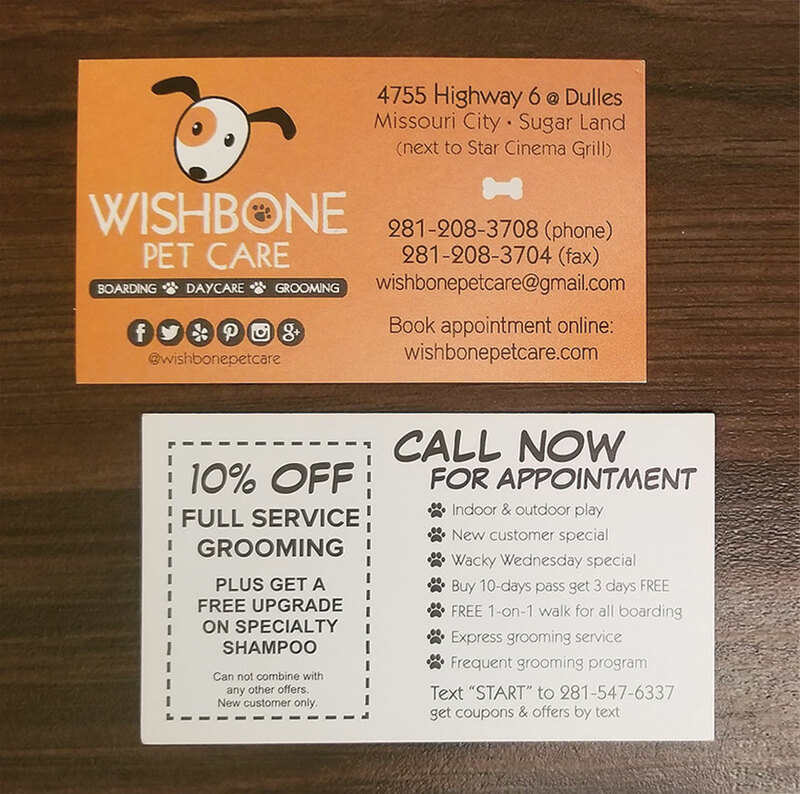 He has two versions, one with a grooming appointment reminder for those customers and another without for business associates and fellow trade show attendees. Tip: Work with a local printer whenever possible. 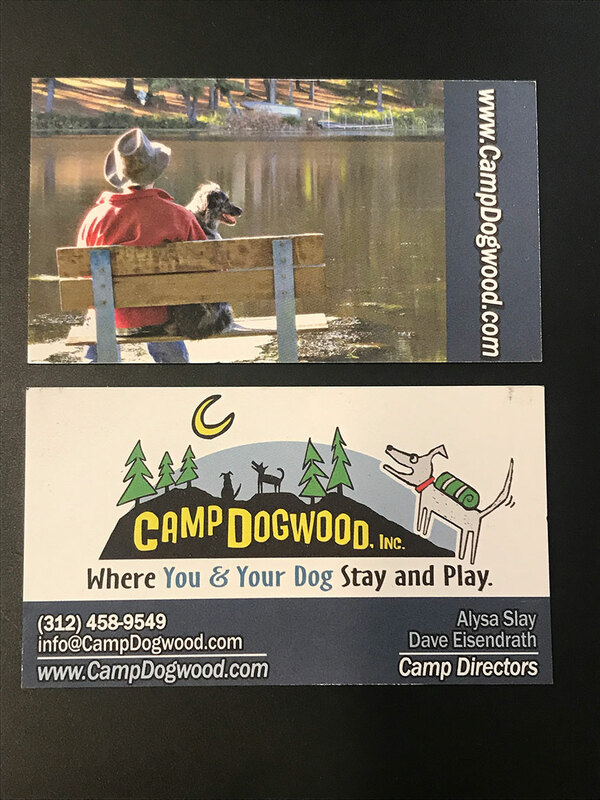 A photo of her husband, Al Edelman, and dog, Stella Blue, captures the essence of Alysa Slay’s camp for people and pets, and takes up the front of this business card. The back contains includes info. Tip: “Don’t cheap out. Get the good paper stock and finish, make it visually appealing. 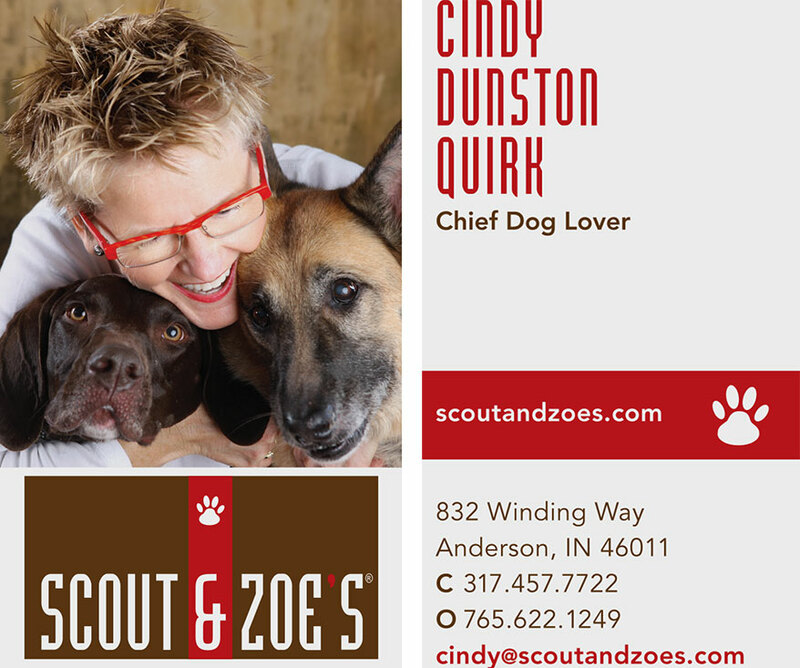 “My inspiration for this business card was the best photo of the three of us we have ever taken,” Cindy Dunston Quirk says. “When I look at it now, especially since Zoe crossed over the Rainbow Bridge in 2014, I see and feel the love I have for both of them and the unconditional love they have for me.” The photo also embodies what her treat company stands for, she adds. 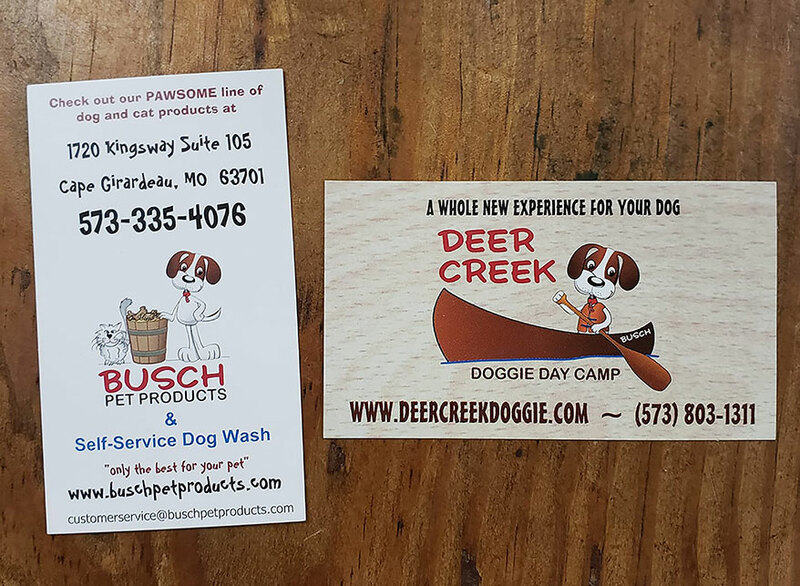 Buschie, the store mascot, appears with his kitty sidekick on all marketing materials, including this business card. Tip: “Whatever you decide to do with your design, my best suggestion is to make it memorable, so customers will always know what your passion is. Clean and not cluttered was the design goal for this card, DIY designed by Amy Schiek. For example, instead of listing social media URLs, she simply uses their logs and trusts that customers can find her easily through search.